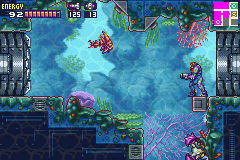 We left off with the newly gravity-empowered Samus traversing the aquatic sector of the ship. 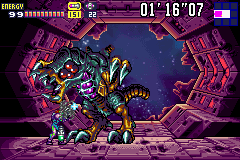 These are some really good graphics for the Game Boy Advance, eh? EGAD! 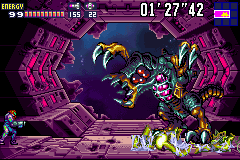 I remember these Mini-Draygon buggers from Super Metroid. 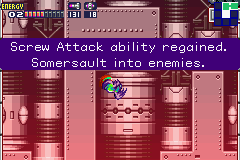 With no sap to catch Samus in this time, they're a lot easier to take out. The final key room is found, unlocking all of the red doors in the game. Another powerup is acquired from a computer room, and I still don't like this way of doing things. Give me Chozo Statues any day. In any case, Diffusion Missiles spread the impact around over a wide area. 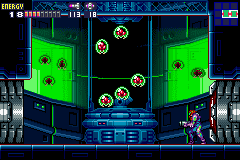 Kinda a similar effect to the Seeker Missiles in Metroid Prime 2. 15 energy left... talk about barely making it to safety, eh? 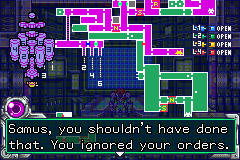 Metroid Fusion doesn't mess around! Behold, it's that weird box-robot boss from earlier. It JUST WON'T DIE! In this fight it's completely banged up from the earlier battle, which is pretty cool. 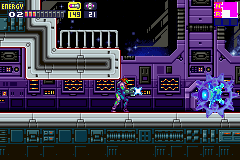 The final beam powerup of the game enhances the Plasma Beam, much like in Super Metroid. It doesn't exist on its own in this game. None of the beams exist on their own, they all just enhance each other. The Plasma beam keeps the three-beam property of the Wide/Spazer beam, for instance. 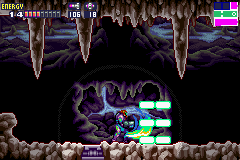 The triple-plasma beam looks a bit different now, is more twisty-turny, and obviously goes through barriers. With basically every powerup (almost) in the game acquired, there's little left to do but hunt down the SA-X and take it out once and for all. 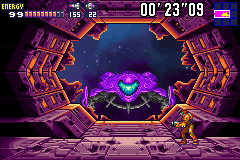 But first, Samus falls through the floor into a hidden area that's off the map. 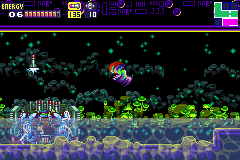 In addition to having creepy music, this place... is full of baby Metroids? What? 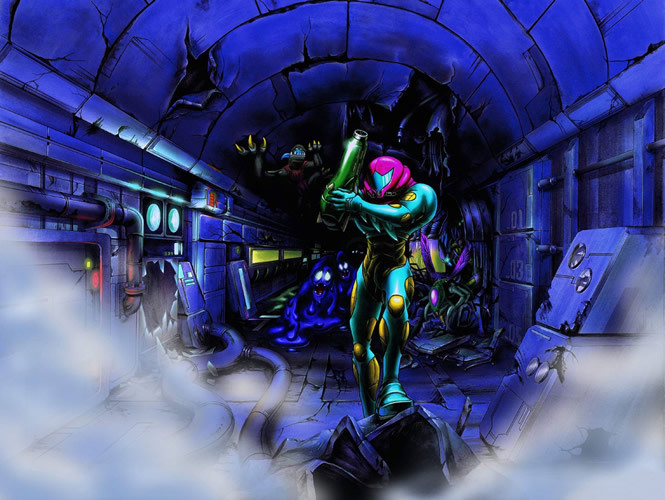 Continuing on, Samus finds various Metroids in cases. 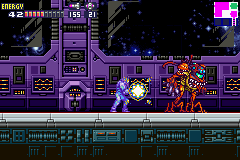 There's the standard classic Metroid on the right, and the (big step-down, really, in fearsomeness and destructive power) evolved Alpha Metroid on the left. 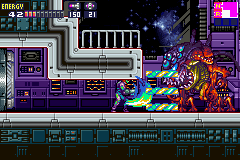 Here's Gamma and the Xenomorph-like Zeta. Wow, this is trippy. 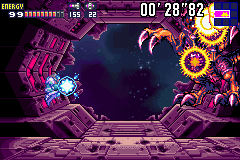 Much like the "SR388 emulation sector" earlier in the game, this is basically a taste of what a Metroid 2 remake might look like. If only they had gone that route after Zero Mission, eh? No sign of the Omega Metroid that was presumably also on display here. Hmmm. Just like that, the SA-X strikes! 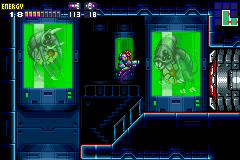 Samus goes back a few rooms to find it opening fire on the baby Metroids, no doubt recognizing that they're the formerly-extinct predators of the X Parasite. 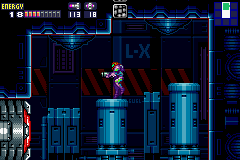 In pursuit of the SA-X, Samus finds that her part of the ship has been quarantined. Uh oh. The computer...is not happy that Samus found the forbidden area of the ship. 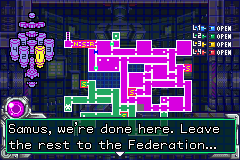 Of course not, the Federation was growing Metroids there. What kind of shady business is this! Yes, peaceful application. Of course. Worst part is that they're probably all cloned from the Metroid that Samus turned over to them for study after Metroid 2. 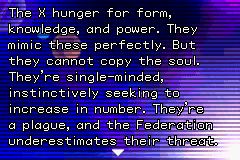 So basically, the Federation is guilty of the same thing that the bad guys are, trying to weaponize Metroids. This computer is really starting to sound ominous. 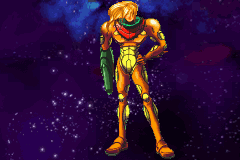 I half-expect it to break out an "I'm afraid I can't let you do that, Samus." 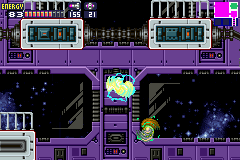 Cloned space pirates assault Samus. Are these Federation goons too? At least, I think they're cloned. At this point all hell is breaking loose. As Lawrence Fishburne would put it, "This ship is fucked." 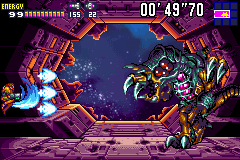 ...possesses Ridley and mutates him into a huge, aggressive X-form. GOOD GOD! This thing is even buffer than Omega Ridley from Prime 3. 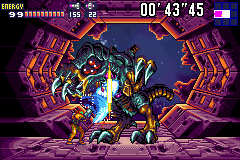 Pretty much the same fight as in Super Metroid, with Ridley flying around aggressively... same music, too, and it's good to hear that tune again. 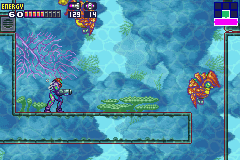 Samus unleashes a power bomb, then a CHARGED TRIPLE SPAZER WIDE PLASMA WAVE BEAM. With this many beams in one, she can't go wrong. 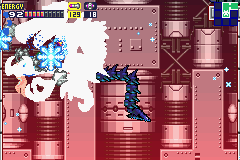 The most epic battle of the game draws to a close, as a reddened Ridley succumbs to his wounds. 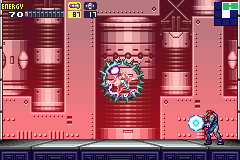 ...the iconic Screw Attack, which is often the final major powerup of any given Metroid game. 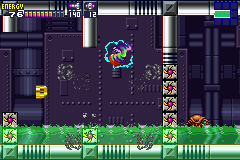 Screw Attacking through a room full of walls as Rippers fly by... reminds me of Super Metroid. Wasn't there lava on the ground in that room? I think so. 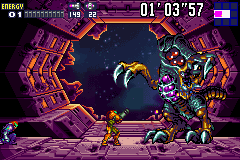 A particularly huge Metroid shell...huh. 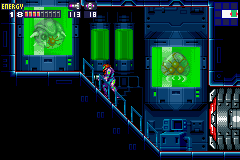 This means we have at least one loose Metroid on the ship. 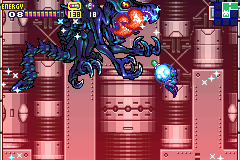 As usual, Ridley does not get final boss billing. 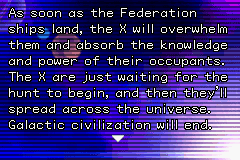 The computer officially wants Samus to leave before she destroys any more of the Federation's experiments. 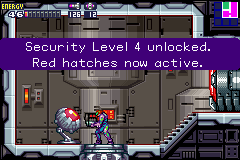 Not surprisingly, they withheld Samus' weapons until she needed them to keep her from fully destroying the X Parasites. They think they can control the X, of course. 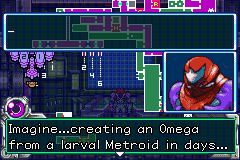 This is a lot like Other M, only in this case it isn't willful for Samus. Matter of fact, here she's insulted at having powerups withheld from her, rather than blindly going along with it like an idiot. 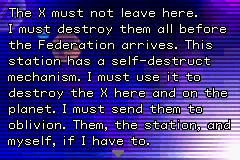 Samus has a monologue where she reveals that she isn't leaving this ship until the X are eradicated... And no orders from a computer will convince her to do anything different. With that... it's SA-X time. 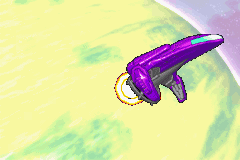 Samus Vs Samus is quite the battle, as they clash in midair with their respective Screw Attacks. 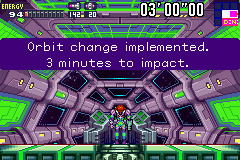 It's over quickly with Samus' current power, though. The SA-X mutates into a nastier X-form. That looks like The Thing, from John Carpenter's The Thing. It beefs up even more, and here's the real battle. It's a pretty epic clash, to say the least. 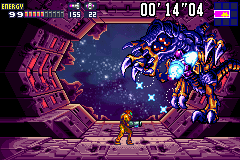 Samus takes cover under a platform, but it isn't much help against this beast. After winning, the strongest X Parasite yet is exposed. It's nothing compared to the previous fight. 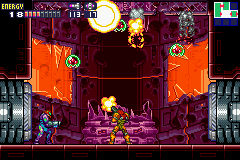 There are still other SA-X roaming around, and Samus knows she has to destroy the ship to get all of them. 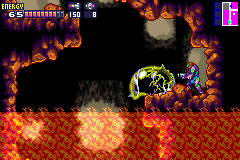 Samus sets the autopilot of the ship to crash into a nearby rock. It's the only way to be sure. And the biggest one I've ever seen, too. Almost Queen sized. 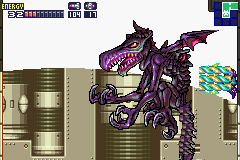 So what looks more like a Xenomorph, this thing or Ridley? 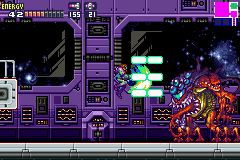 An SA-X jumps in on Samus' behalf (or not... X Parasites and Metroids do hate each other after all), blasting the Metroid as it's about to finish her off. It's the biggest three-way battle since the 1992 election! 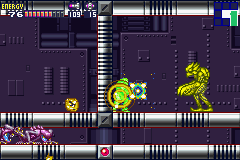 The Omega Metroid responds by dispatching the SA-X (shades of Super Metroid here), but Samus absorbs the SA-X's power and gets a new super-beam. 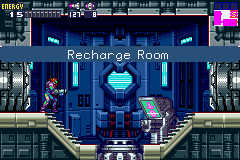 From here, it's an academic matter of blasting the absolute hell out of the Omega Metroid's chest. 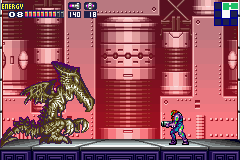 This is a pretty rough fight, definitely worthy of final battle status and definitely tougher than Ridley. 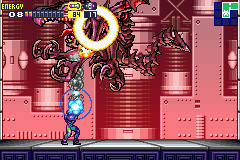 It's good to have a Metroid game end with a Metroid fight. That usually isn't the case, and by my count this makes it three out of nine for the series. 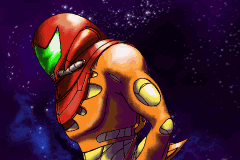 VICTORY, as Samus finishes the battle with thirty seconds left. Working against the clock adds another element of stress to this battle. 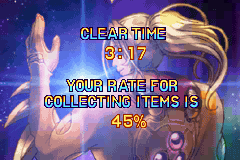 Samus summons her ship with seconds to spare, and that's all she wrote for this game. ZOOOOOM! That's SR-388 in the background, by the way. 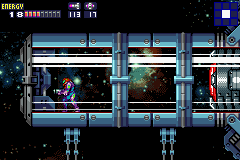 As Samus makes her getaway, the space station crashes into SR-388. 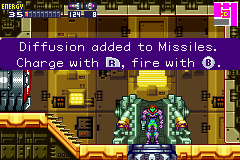 Earlier I might have mentioned how Fusion's storyline kinda negates the possibility of further Metroid games. 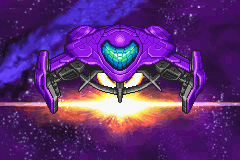 However, the fact that the space station, with who knows how many Metroids in storage on it, crashed into SR-388... well, if any Metroids on the ship survived, they could start the Metroid menace anew on the planet. 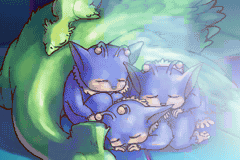 More importantly than all of that, Samus got these furry buggers safe on board too. Good to see the green ostrich is with child. 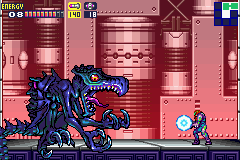 Longest 2D Metroid, definitely. Which isn't saying too much, none of them are longer than 6-7 hours even on a blind first go. 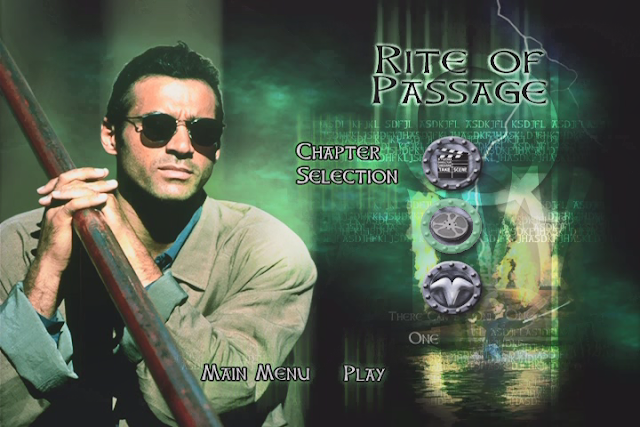 I'd like to go for 100% in this game someday. 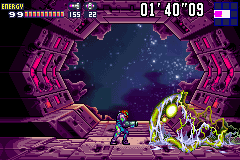 The GBA could do some very nice looking 2D, that's for sure. A lot of lovely images in this post and this looks like a cool game. The talk about "peaceful purposes" seems especially relevant these days. Countdowns to destruction always stress me out so that last boss would've been white-knuckles for me. 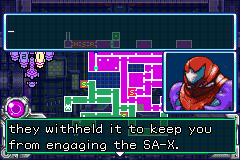 I remember the first phase of SA-X being really difficult, but then the second phase being kind of a pushover. I think it had something to do with you could exploit the second phase's AI and shoot him, then he jumps into the air, you shoot him again, he jumps into the air...something. I'll have to find a video walkthrough later to see if my memory is fuzzy.